By Craig | April 13, 2019 | This post may contain affiliate links, which means we may receive a small commission, at no cost to you, if you make a purchase through a link. Read our Disclosure. Planning your dream trip to the USA and a trip to Disneyland CA? Us too! If you asked our kids what is the one place they wanted to go in the US, the answer would be Disneyland. No shock there, and to be honest, us big kids were pretty excited about visiting Mickey’s house too. I mean, it the Happiest Place on Earth after all. So for our USA road trip across all 50 states, I’ve been doing some research on Anaheim to find out what are the best hotels near Disneyland. It has been no easy task researching the best hotels close to Disneyland. 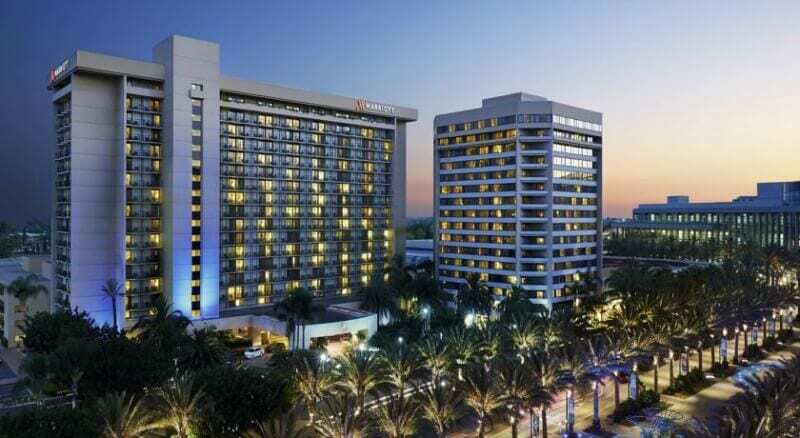 There are so many hotels in Anaheim to choose from and things to consider when visiting Disneyland. So I figured if I was having trouble deciding on what are the best hotels near Disneyland to stay in, maybe you are too! In case you don’t know, Disneyland is in Orange County, not LA, and is one of the top places to visit in Southern California. So once you’ve done all the things to do in Los Angeles with kids, head to Anaheim! I’ve spent many hours researching Disneyland® hotels via Google, reading blog posts, looking on Pinterest, digesting reviews on Booking.com. Fun, fun. If you are planning your dream Disneyland vacation, and to visit Disney California Adventure Park or experience Mickeys Halloween Party, keep reading. I hope you find this a useful resource for booking your accommodation in Anaheim. From my research, I’ve created a short list of properties to save you some time doing your own research, and hopefully some money too. Parking at Disneyland® is expensive! What facilities does your Disney hotel have? What’s the hotel room configuration? 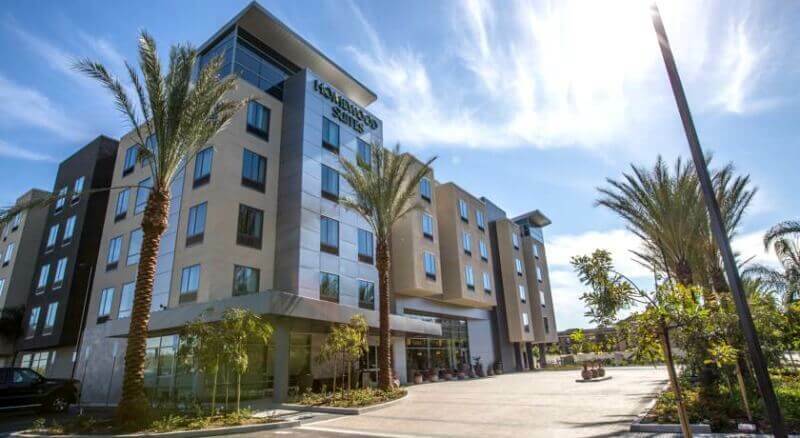 If you have your own car, or fly into LAX and book a rental car, on average you’re looking at $15 per day to park your car at most Anaheim hotels on top of your accommodation costs. That adds up and is something to factor into your budget. Another option for getting to Disneyland® from your hotel is to ride the ART shuttle (Anaheim Resort Transportation). This shuttle connects you to the theme parks, hotels, restaurants, and shopping within the Anaheim area. Service typically begins at 7 AM and continues through midnight. Hot Tip – my sister visited Disneyland® earlier this year and said it might be quicker and easier for you to jump on the ART shuttle at a nearby hotel or at a stop on the other side of the street from where you are staying as the shuttle does a kind of loop. However, your best option for getting from your hotel to Disneyland® could be to walk. I’ve also been told that by the time you wait for the shuttle, and the time it takes the shuttle to stop off at each hotel and pick up point, you could have walked there by then. 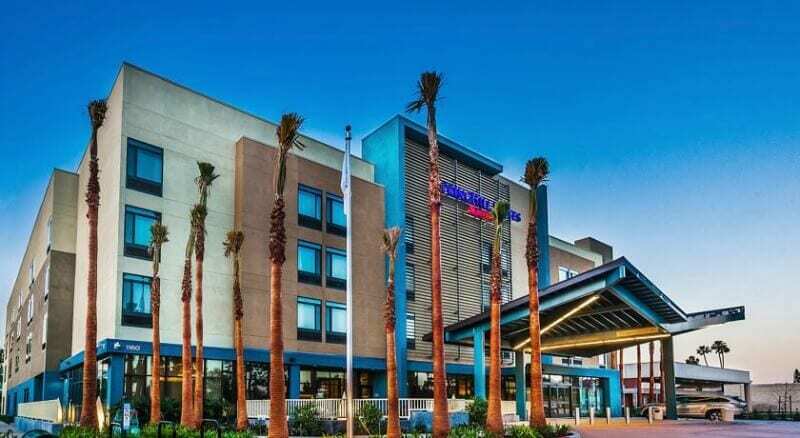 There is no point choosing your accommodation in Anaheim if it is miles away from Disneyland® and you have to pay extra in transportation costs and waste valuable time. If possible, you want to stay within walking distance to Disneyland, in a property on or near S Harbor Blvd. You’ll be tired when leaving Disneyland® so the easier it is to get back to your hotel the better. For those of you that have young kids, you don’t want to be walking too far before you even enter the gates of Disneyland®. The day is long enough as it is, and being able to retreat back to your hotel for a rest during the day or a swim in your hotel pool to freshen up is desirable for many families visiting Disneyland®. From my research, I’ve discovered that the Anaheim accommodation situation for Disneyland® California is different to that of DisneyWorld® in Florida. In Orlando, it seems a big reason for staying onsite at Disney World is for the close proximity to the parks. The non-Disney hotels aren’t as practical location wise. 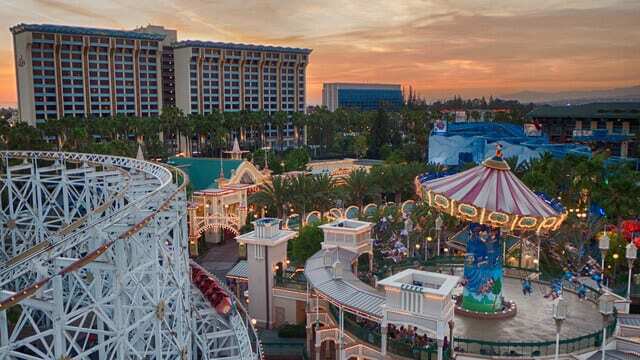 In Anaheim, many of the non-Disney hotels next to Disneyland® or close by along S Harbor Blvd are within a 5-20 minute walk to Disneyland® and Disney California Adventure® Park. 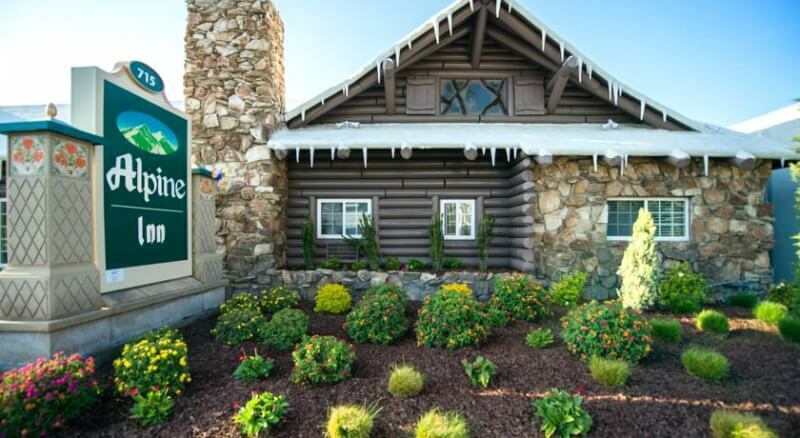 You can also consider a Disneyland vacation rental. We stayed in one located a very short 10 min walk to Disneyland. It was awesome and so much cheaper! 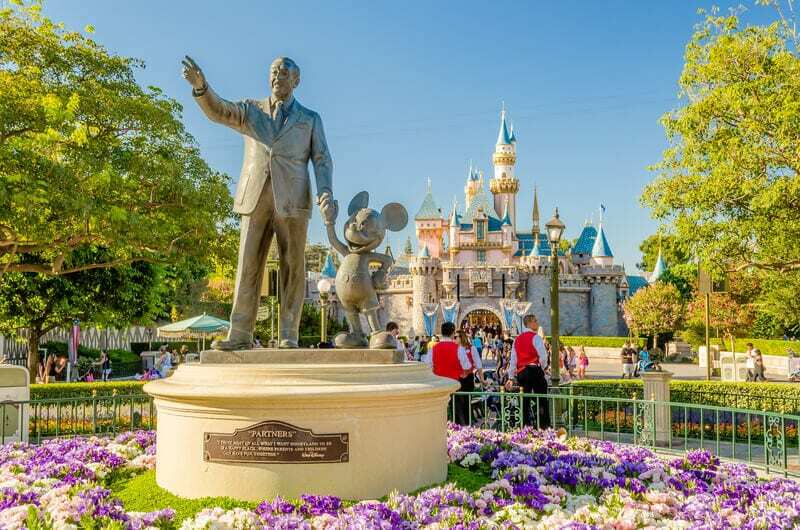 Depending on the time of year you visit Disneyland, the size of your traveling party, and the status of your hotel, the price of Anaheim hotels near Disneyland can vary greatly – especially during major holidays and school vacation periods. Can you visit outside of the peak periods? Hotel prices will be lower, crowds thinner, and you’ll potentially save money on flights and car rental. Win-win! When I look at booking accommodation for my family, there are certain questions I ask so that our stay will be most enjoyable and economical. All of the above options will vary from hotel to hotel. Decide which features are most important to you for your Disneyland vacation! Who are you traveling to Disneyland® with? Can you share beds to cut costs per head? For our family of four, we either require two double beds, or a queen and two singles, or bunk beds, or a suite. If you have a baby make sure a portable cot is available and for free! Are you traveling with a large family? Can the hotel accommodate more than 4 people per room? Always ask about discounted family rates, free meals for children, and an upgrade at check in – they can only say no. I don’t think it’s a coincidence that during my research, the same Disney hotel options kept showing up as popular across various websites and review sites and in comments on blog posts. 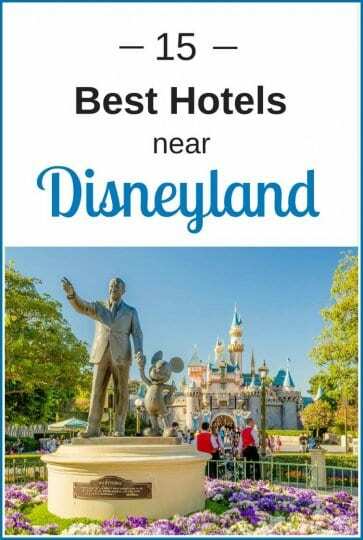 Below is my short list of best hotels near Disneyland CA. And they are listed in no particular order. Click on each photo or link to read a longer description of the property and book your stay. To be clear, we are affiliates of Booking.com and aRes Travel, which means we receive a small commission if you book through the links on our site. But, we are also paying customers just like you and use them to book our own accommodation. aRes Travel guarantee their Pre-Paid Hotel Rates are the best prices available online. (see more here) They also have some of the best deals on tickets including Park Hopper, multi day and character dining here. See more here. 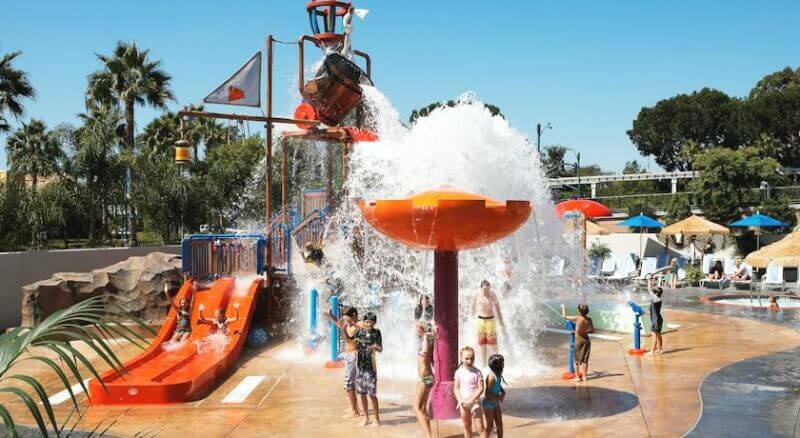 The iconic Howard Johnson is one of those hotels close to Disneyland that features a private themed water park and outdoor pools, and all rooms come with free wifi. Distance from Disneyland: 8-minute walk (closer to the gates than two of Disney’s own hotels). View Matterhorn Mountain, the Disneyland Monorail or watch the fireworks from the comfort of the hotel grounds. 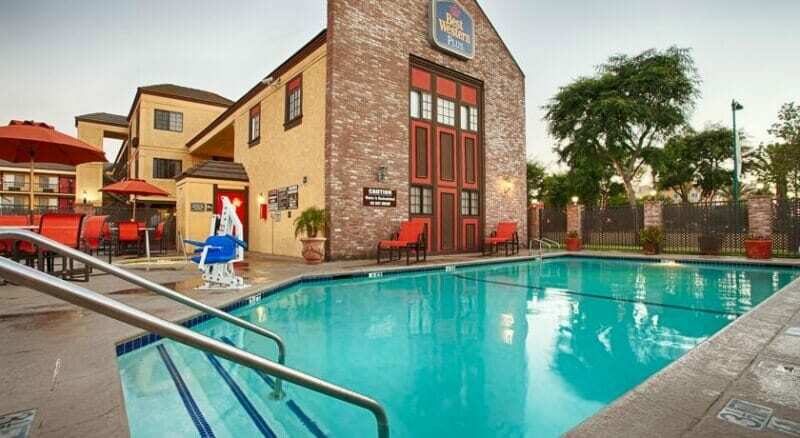 The Homewood Suites by Hilton boasts an outdoor pool, a children’s pool, and hot tub. You get a daily free full breakfast and free WiFi. Distance from Disneyland: 1.1 miles. Springhill Suites features an outdoor pool and hot tub. Choose from a studio or 1 bedroom suite. Suites feature pull-out sofa bed, lounge chair, microwave and mini-fridge, free WiFi and a daily hot breakfast. One of the hotels with a shuttle to Disneyland for a nominal fee. Distance from Disneyland: 0.5 miles. The Best Western near Disneyland is a family-oriented hotels close to Disneyland offering Disneyland Theme Park tickets at the front desk. Features an outdoor pool and hot tub and serves a daily continental breakfast. Distance from Disneyland – one mile. 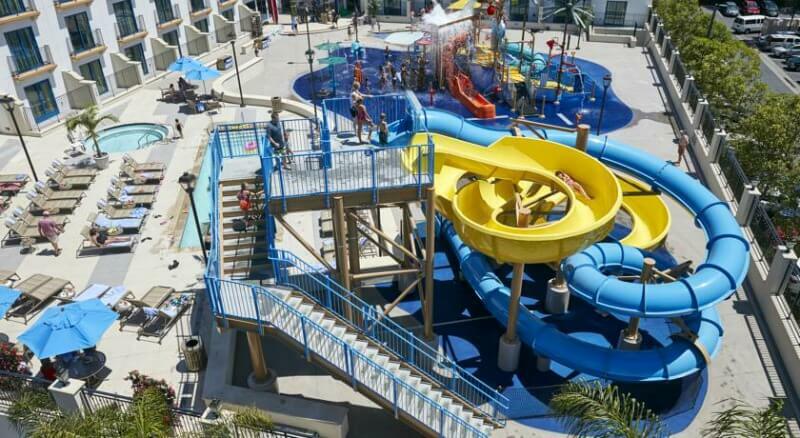 The Courtyard by Marriott is home to the Surfside Waterpark which features 30-foot water slides, a 400-gallon drench bucket, swimming pool, kids pool, and views of the Disneyland fireworks display. Select rooms offer twin bunk beds and can accommodate up to six people. WiFi is included. 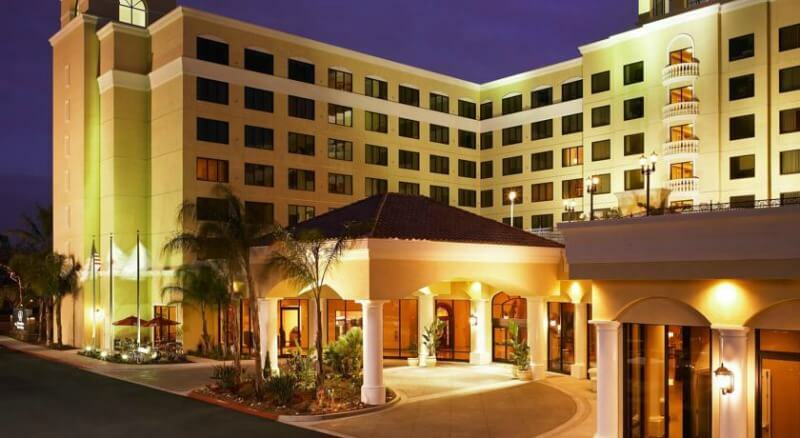 One of the 3 star hotels within walking distance to Disneyland and your date with Mickey Mouse. Distance from Disneyland: 5-minute walk. The Fairfield Inn features character-inspired guest rooms and suites with free Wi-Fi. Many rooms are connected, a perfect option for families. It’s one of the hotels across the street from Disneyland and near the Downtown Disney District. Onsite dining options include Pizza Hut Express, Panera Bread and Seattle’s Best Coffee. The Alpine Inn features an outdoor heated swimming pool, a free daily continental breakfast, free wifi, and free parking! Choose from a king size room, delux double room, or family suite. Distance from Disneyland: 15-minute walk. The Staybridge Suites serves a free, breakfast buffet every morning and you can purchase Disneyland tickets at the front desk, avoiding the long lines. There’s an outdoor pool or all rooms are suites featuring kitchens and free wifi. The Anaheim Resort Transit stops by the hotel every 20 minutes for convenient and affordable travel to Disneyland. 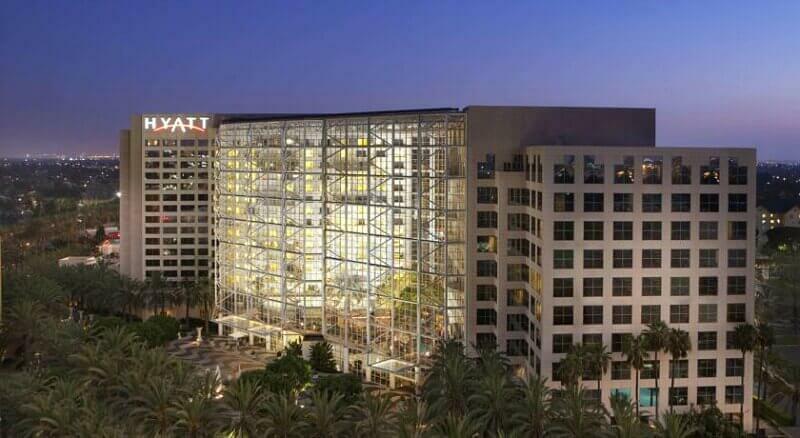 The Anaheim Marriott hotel is located next to Anaheim Convention Center. 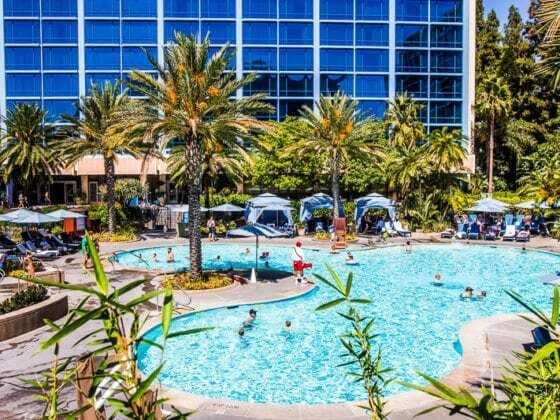 It’s one of the best Disneyland hotels and features a resort-style pool and 4 restaurants including JW’s Steakhouse and Cafe Del Sol which serves fresh California cuisine. Their Disneyland suites offer Wi-Fi, marble bathrooms, and luxurious bedding. Doubletree Suites is where my sister stayed with her family on their Disneyland holiday. They loved the huge suites for families and that kids eat free at the restaurant. Oh, and as many free choc chip cookies as you want! There is free wifi and 3 different restaurants. The hotel also features a rooftop swimming pool offering beautiful views of the surrounding area. The Hyatt Regency offers unique kid’s Suites where kids get their own sleep and play space, while you relax in your private bedroom. All rooms have free wifi. There are 2 outdoor heated pools and a restaurant on site. It has ticket services for Disneyland. Distance to Disneyland: 1.6 miles (a hotel shuttle is available to the park: $5 per person each day, Children ages 4-10 $2 per person per day. 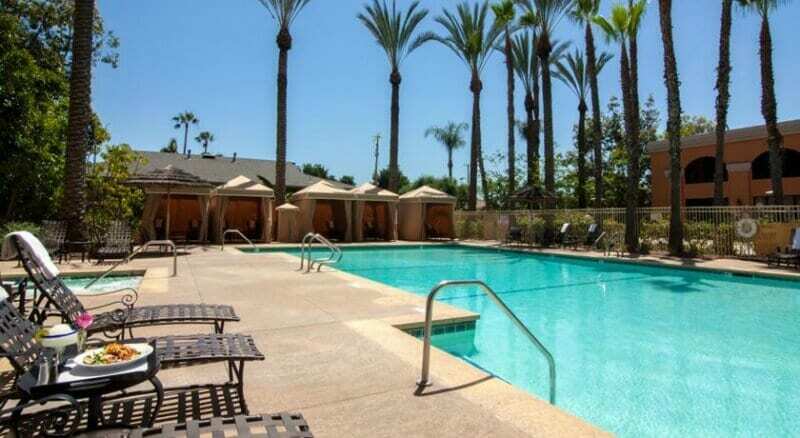 The Wyndham Garden Grove offers an outdoor pool and on-site restaurant. Room options include standard room, executive and family suites for added space and amenities. For one low daily hospitality fee you can take advantage of Wi-Fi Internet access, unlimited Disneyland shuttle service, and self-parking, fitness center and outdoor swimming pool. Distance from Disneyland – 1.9 miles. If you want the 24/7 Disney experience and to be surrounded by the magic at every turn and with every little detail, then staying at a Disney property could be for you. Or, maybe your time spent at Disneyland and California Adventure Park in Anaheim California during the day is enough and you want to escape everything Disney and stay off-site at a more low-key property. From what I understand from my research, the only Disney Hotel in Anaheim that is actually “on-site” within the theme park is the Grand Californian Hotel & Spa. Disney’s two other properties, the Paradise Pier Hotel and Disneyland Hotel are a little further away than some of the non-Disney properties. Of course, it generally comes down to your budget and availability at the properties. With only three Disney Hotel Resort hotels to choose from availability will not always be there, especially during peak times. And I think it’s safe to say the three Disneyland Resort Hotels would be considered “luxury” and I image the total of your stay plus park ticket can end up pricey. However, as we say time and again on our blog, we’re all about accumulating moments and memories over possessions, so if this is your once-in-a-lifetime dream vacation you’ll find a way to make it happen. Extra Magic Hour – book and stay at a Disneyland Resort Hotel and enjoy admission to select attractions, stores, entertainment and dining locations in Disneyland Park or Disney California Adventure Park for one full hour before the parks open to the general public on select days (must have a valid theme park ticket). Easy Access – each park has separate gate entrances for the Extra Magic Hour guests. Park View Room – stay in one of these rooms and you’ll receive a view of one of the parks, especially handy for the night time fireworks. 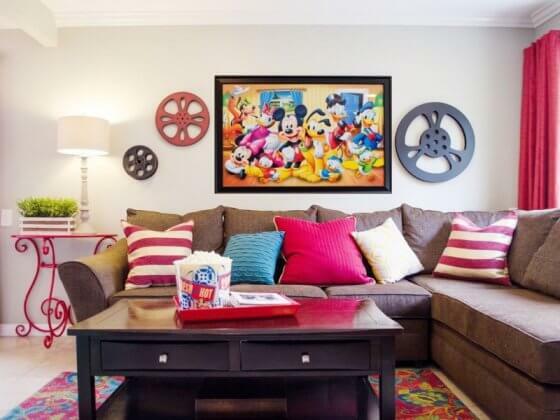 Signature Suites with special Disneyland Park themes and décor. 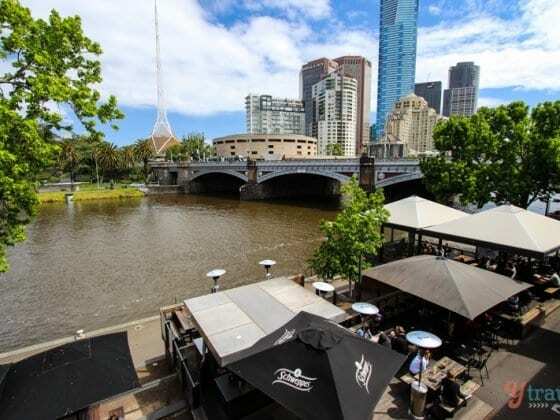 Location – it’s a relatively short walk to the gates. Below are the three Disney properties, listed in no particular order. Click on each photo or link for full descriptions of each property at their official Disney websites. I would love to hear your feedback in the comments at the bottom of this post about any of these Disney properties. Which one is best? Are they worth the cost? 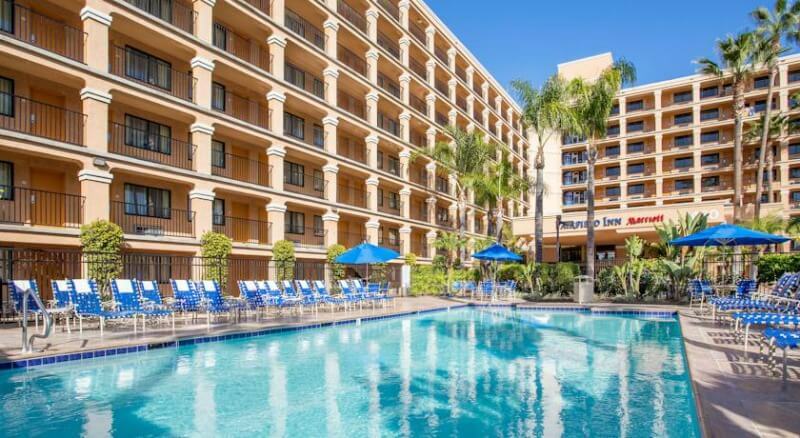 At the Disneyland Hotel, you can stay in either the Adventure, Fantasy or Frontier tower and be located just steps from the Downtown Disney District and a short stroll to both Disneyland Park and Disney California Adventure Park. The Grand Californian Hotel & Spa has its own entrance to Disney California Adventure Park and is the only on-site hotel of the three. The Paradise Pier Hotel is a boardwalk-themed resort across a palm-lined boulevard from the Grand Californian Hotel & Spa. It’s a 5-minute walk to Downtown Disney shopping and a 15-minute walk to Disneyland front gate. 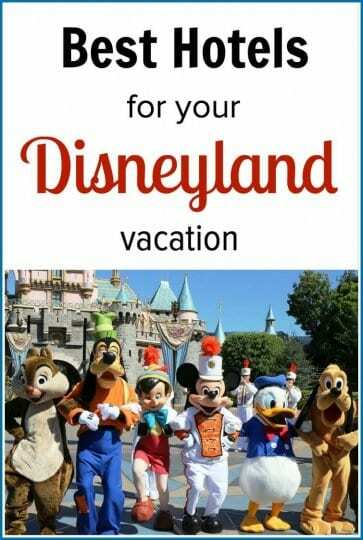 Click here for your Disneyland Resort attraction tickets. aRes Travel have some of the best deals on tickets including Park Hopper, multi day and character dining. 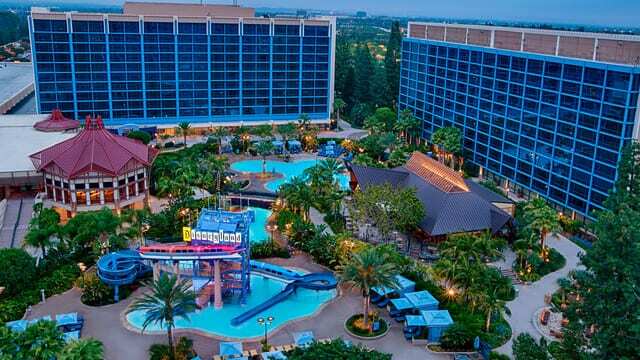 Have you stayed at any of these hotels near Disneyland? Can you recommend any other places to stay near Disneyland? Please share any tips or insights on accommodation or visiting the theme parks in the comments section below! Awesome! This article is amazing , I plan to meet Disneyland in soon and now with these valuable tips there are not excuses to meet it. I love this blog and always accompany the tips and trips!! Happy to help with the planning. Hopefully this post helped narrow down your choices of hotels near Disneyland and you make it to Disney soon! In July, me and my family enjoyed the Walt Disney World, but we preffer to stay near to International Drive, so we could discover a lot of new attractions on I-Drive. Next year, we will try any cheap disney resort. 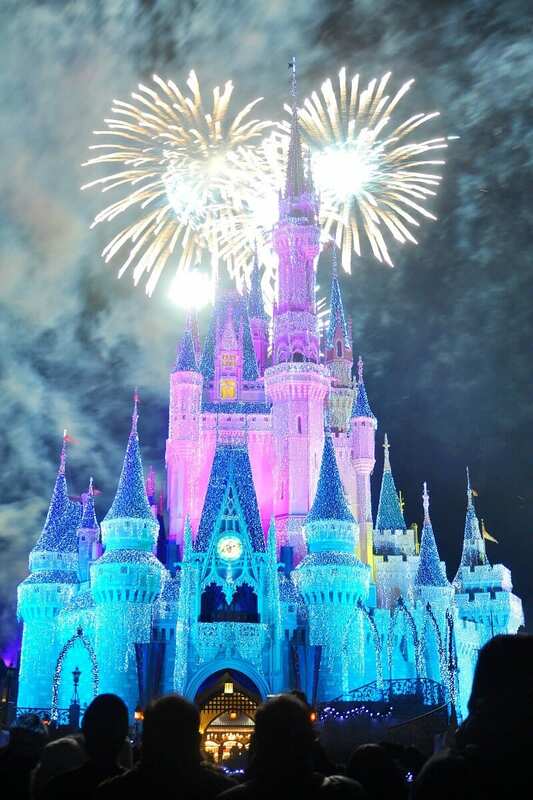 Glad you enjoyed your Disney trip in Florida Ascatarinas. When you go to the California one, you should stay in one these hotels near Disneyland. I stayed at offsite hotels as i was with my hubby and kids. They enjoyed going early at parks nearby. it was walking distance to Disneyland. Hotel was worth and affordable. Thanks for sharing Greece. Walking distance is a priority for us too. Love your travel blog. I haven’t been to Disneyland in many years but this article has inspired me to head back with the family. Lots of awesome ideas of places to stay but I think it will be Disneyland Californian Hotel & Spa. We liked the Red Lion Inn. Free parking and about a 5 minute walk to Disneyland. And our primary reason was that since we were traveling with two dogs, they were welcome at the hotel. Glad you found the post helpful Luan. Hope you get to stay in one of these hotels near Disneyland.